Are you too far from Hurstwic's home base in New England to train with us? Then join either of Hurstwic's group programs: the Hurstwic Affiliate program, or the Hurstwic Study Group program. 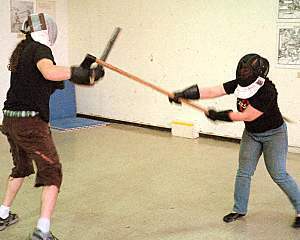 The affiliate program is a more formal relationship and allows you to use the Hurstwic® Viking Combat Training System in your own club, school, or group. If you have no club, or you prefer a less formal relationship, please consider joining or forming a Hurstwic study group. Both programs gives you access to Hurstwic instructors and the latest Hurstwic training methodologies, not only from the founders of Hurstwic, but from your fellow Hurstwic groups as well. The Hurstwic system is growing and evolving, and we expect that affiliates will contribute to our research through their own work. 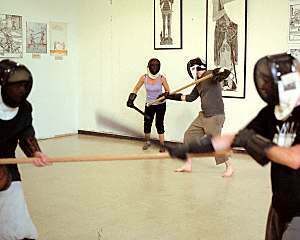 We welcome you to join us and our associated groups to research and practice the fighting moves of the Vikings. Hurstwic affiliation is not for everyone. 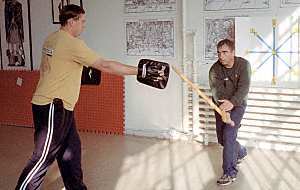 Candidates will be tested with both written and physical tests. Yet Hurstwic affiliation is meant to be inclusive. Groups or clubs that currently train with one methodology need not give up that training methodology to become Hurstwic affiliates. 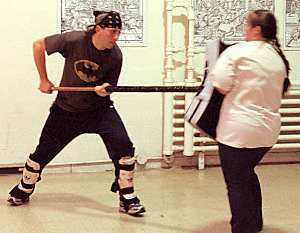 We hope that the Hurstwic® Viking Combat Training system will enhance your existing training. We expect that the Hurstwic affiliate program will give affiliates access to experts in many fields related to Viking-age weapons, combat, and culture. 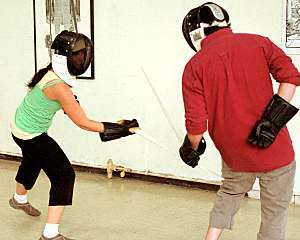 We expect to offer affiliates discounts on the purchase of training gear from recognized vendors. We expect to hold regular events for affiliates to offer teaching, testing, training, competitions, and the sharing of new research results. We expect to create a private Hurstwic on-line training forum which will provide direct access to Hurstwic trainers and experts. We expect that Hurstwic will have some oversight over the training process used by our affiliates. 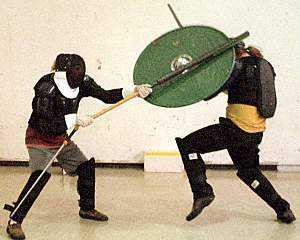 The Hurstwic® Viking Combat Training system was developed by a number of people over many years, and its creation involved buckets of sweat, no small number of bruises, and some blood. Thus, we hold this creation dear, and we expect that anyone claiming to use the system is, in fact, following the basic training principles closely. The affiliate program is still in the formative stage. 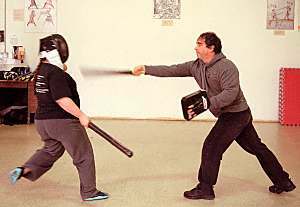 If you think you, your training club, your martial arts school, or your Viking-age group could benefit from a closer association with Hurstwic, please contact us. 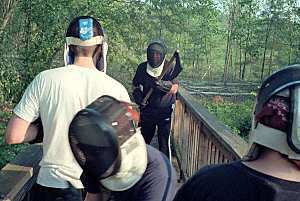 The Hurstwic study group program is a less formal way for Hurstwic to have better contact with individuals and groups using the Hurstwic® Viking Combat Training system. Application to become a Hurstwic study group is informal, and typically takes the form of a series of e-mail exchanges where we assess the applicant's background, training and experience, and knowledge of Viking-age topics. 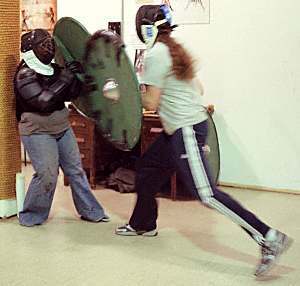 We require that the study group have some minimal training gear, a place to train, and the set of Hurstwic® Viking Combat Training DVDs to use in their training. Applicants who are accepted will be given access to the private Hurstwic on-line training forum which will provide direct access to Hurstwic trainers and experts. 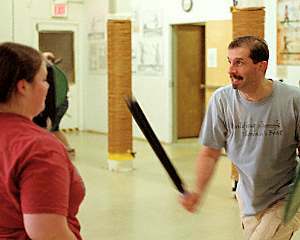 Study groups are free to state that they use the Hurstwic® Viking Combat Training system, although they may not state that they are instructors in the system, or that they teach the system. They may not charge for training sessions (other than shared costs for training room rental or purchase of training gear) that use the Hurstwic system. Hurstwic is free to state that the study group is using the Hurstwic system in their study. We request that groups provide a brief monthly summary of their activities on the Hurstwic on-line forum, to share what they have accomplished with Hurstwic and with other study groups. The study group program is in its formative stages, and Hurstwic continues to grow. As a result, the study group may change or be dropped in future. We plan to give study groups every opportunity to change and grow with us, but we reserve the right to drop a study group. 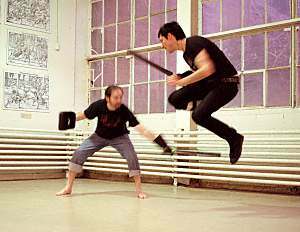 If you are using the Hurstwic® Viking Combat Training System in your training, please contact us to learn more about Hurstwic Study Groups. 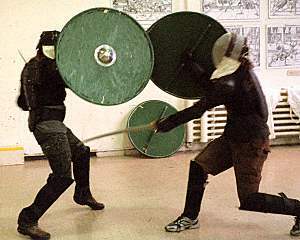 We welcome groups and individuals who share our interest in Viking-age fighting moves to join us. 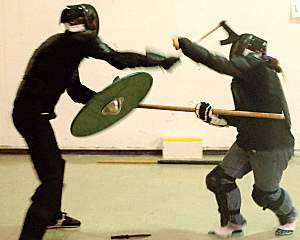 We eagerly want affiliates and study groups to help us in our research and practice of Viking fighting moves. In return, we want to support them in their work and training. 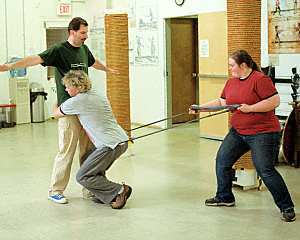 We hope their discoveries and experiences will help everyone using the Hurstwic® Viking Combat Training System. 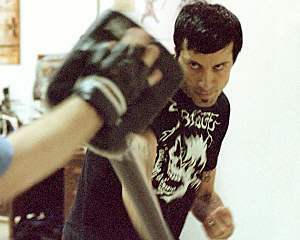 Hurstwic® Viking Combat Training is offered by Jarl Michael Gelaude.